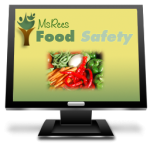 Thank you for your interest in Ms. Ree’s Food Safety. This is a training course for employees to obtain a Food Handler Certificate at an economical price. It’s simple and to the point. This training meets the Texas Department of State Health Services requirements for your Food Handler Certificate (FHC). After completing the seven short food safety modules, your certificate can be printed at your computer. The seven modules take no more two hours to complete. The FHC needs to be provided to your Manager. This will verify you completed your training! Your FHC is valid for two (2) years from the date of completion. Local health departments may require you to obtain a city or county food handler card by presenting your certificate. This training helps you understand why each person involved in food handling is important in keeping the food safe for customers. When food handlers are careless, foodborne illness can result. An outbreak can destroy a business reputation, cause a decline in customers and even cause death. Ms. Ree is a food safety professional who has been working with state and federal regulations for 27 yrs. 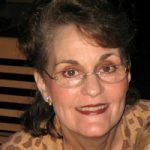 For many years she taught food handlers in the traditional classroom setting. In today’s work world, time is of the essence and she realizes there is a need for on-line food handler training. She decided to take her knowledge and create an on-line state accredited course for employees. She has kept it simple and straightforward. Her years of experience have given her the opportunity to work one-on-one with many food handlers. She has written a course that is not complex and to the point. She knows employees want a clear explanation about safe food handling. We hope you decide to take her course and learn the food safety basic principles to keep the food safe for your customers. You don’t want to be the cause of a foodborne illness outbreak. It could cost you your job, so always think food safety!